The cooperation between police and members of the public is Britain’s “greatest advantage” in the fight against terrorism, a senior officer has said. 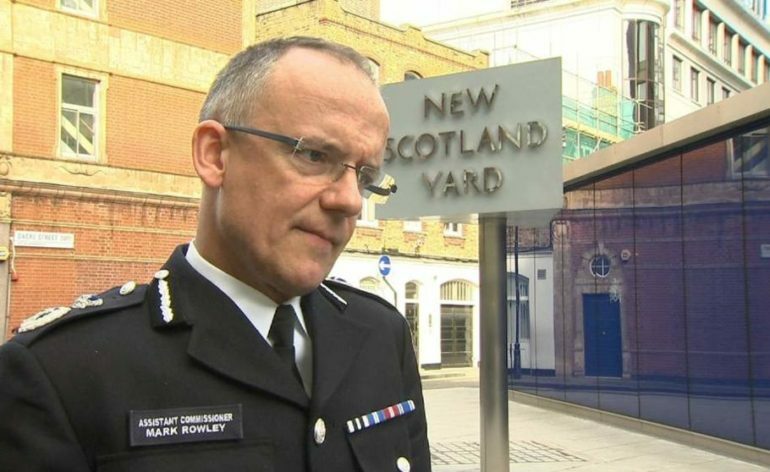 Assistant Commissioner Mark Rowley said the public make more than 3,600 “contributions” to stopping terrorism each day. Writing in a blog post for the National Police Chiefs Council, Mr Rowley added that cooperation between police and the public is now “more important than ever before”. It comes after the Metropolitan Police Commissioner Sir Bernard Hogan-Howe warned that a terror attack in the UK is a matter of “when, not if”. But Mr Rowley said the UK has a number of advantages over other countries in stopping terror, including tough gun laws. “But for me our greatest advantage is the cooperation between the public and the police,” he said. “It has often been said that ‘communities defeat terrorism’ and now that’s more important than ever before. “The true scale of that collaboration is impressive, but rarely explained. The public makes an average of 32 calls to the confidential anti-terrorist hotline every day. There are also on average five referrals of extremist material online and two of potential radicalisation every day. Mr Rowley said: “Every call, every referral, every briefing is part of our joint fight against terror. Earlier Sir Bernard said that he could not promise an attack will not take place. Writing in The Mail On Sunday he said: “I feel and understand that fear, and as the police officer in charge of preventing such an attack I know you want me to reassure you. “I am afraid I cannot do that entirely. Our threat level has been at Severe for two years. It remains there.